About - Forever Tai Chi! Exercise Your Mind, Body, and Spirit! What Does Forever Tai Chi! Mean? 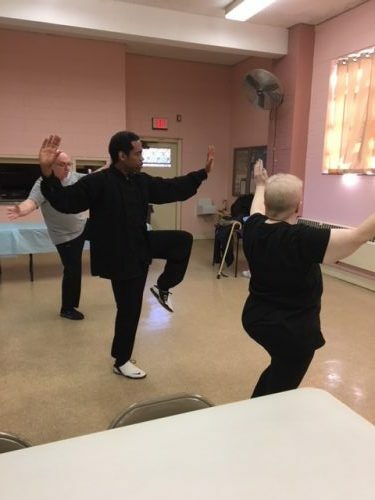 If you are a Tai Chi practioner you are already aware that practicing Tai Chi Chuan and Qigong is a lifetime commitment. As a beginner you learn the basics—from understanding and applying the Ten Essential Points of Tai Chi, basic postures and forms, to learning to control your breathing. As you move to more advanced levels the forms evolve as well as understanding the deeper meaning behind each posture and applying the martial application. Your journey continues once you’ve reached black sash level – personal discoveries and sharing with others is essential at this stage. 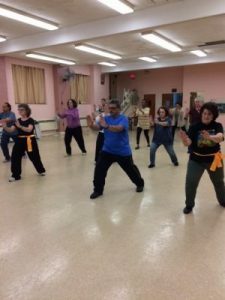 Our classes focus primarily on Yang style Tai Chi which includes competition forms and weapons. Qigong breath work is also incorporated in each class to promote maximum chi flow throughout the body. Classes are taught in the traditional way focusing on philosophy, spirituality and self-defense techniques. With continued practice and training, students will not only learn traditional forms but will learn to cultivate personal discipline and self-awareness for relieving external pressures of daily life that can affect one’s health. Classes are geared for all abilities and ages including accommodating seniors and the physically challenged.